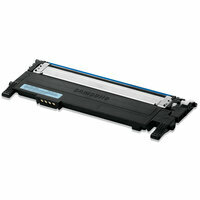 Toner cartridges feature HP ColorSphere toner for even higher gloss for a dynamic range of color. From effective everyday business documents to professional marketing pieces, the results are brilliant. Printing with Original HP supplies is easy and cost-effective. Manageability features keep the office running smoothly. ColorSphere toner and intelligence built into the cartridge enable fast, high-quality, consistent results in Hewlett-Packard Color LaserJet Printers CP3525n, CP3525dn, CP3525x, CM3530 MFP and CM3530fs MFP. 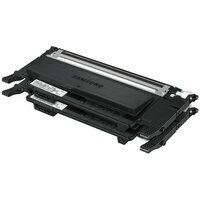 Trouble-free printing can save time, increase productivity and lower overall costs of printing. 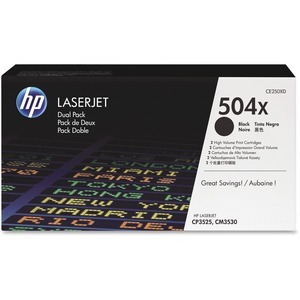 Each HP 504X cartridge yields approximately 10,500 pages.